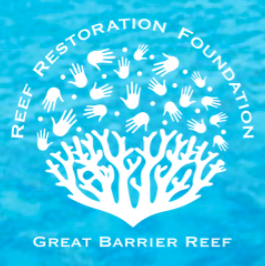 Reef Restoration Foundation (RRF) is a not for profit social enterprise that is establishing a series of offshore coral nurseries throughout the Great Barrier Reef to accelerate the recovery of damaged high value reefs and strengthen resilience to future bleaching events. We collect small amounts of healthy corals that have survived the last two years of high temperatures. These corals should be naturally more resilient to higher water temperatures and coral bleaching. The corals are collected and grown in off-shore coral nurseries, which are located adjacent to the damaged reefs. The corals grow significantly faster in the nurseries than on the reef. 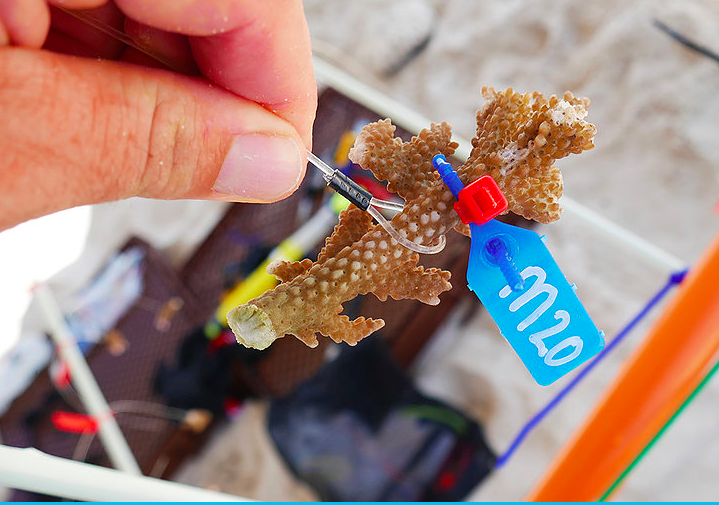 After 6-12 months, cuttings are taken from each of the growing corals. 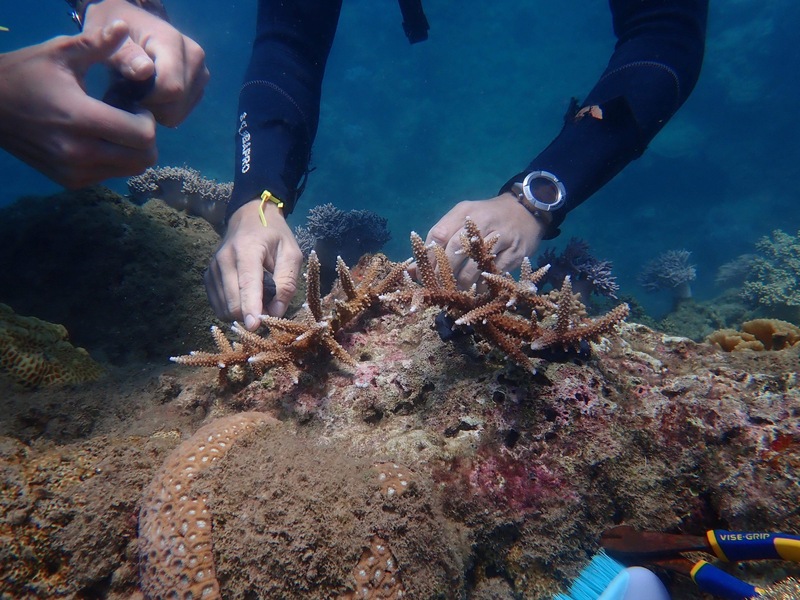 The cuttings are then attached to the Reef to grow and regenerate damaged sections of the reef and strengthen resilience. The original corals remain in the nurseries to re-grow and the process becomes a continuous cycle. From the initial cutting of coral, thousands of new corals can be created. This is a similar approach to taking cuttings from healthy plants to grow new plants. 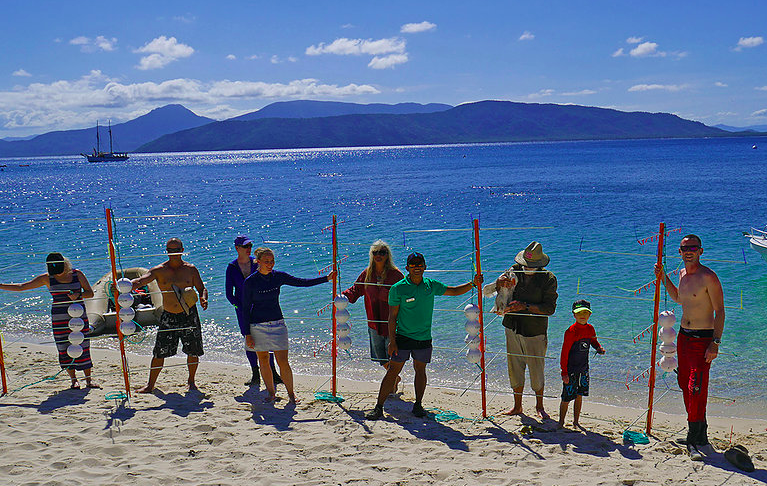 The RRF’s first coral out-planting activities will all be in celebration of the International Year of the Reef. The first out-planting day is planned for the start of September and should run at 3-4 month intervals. 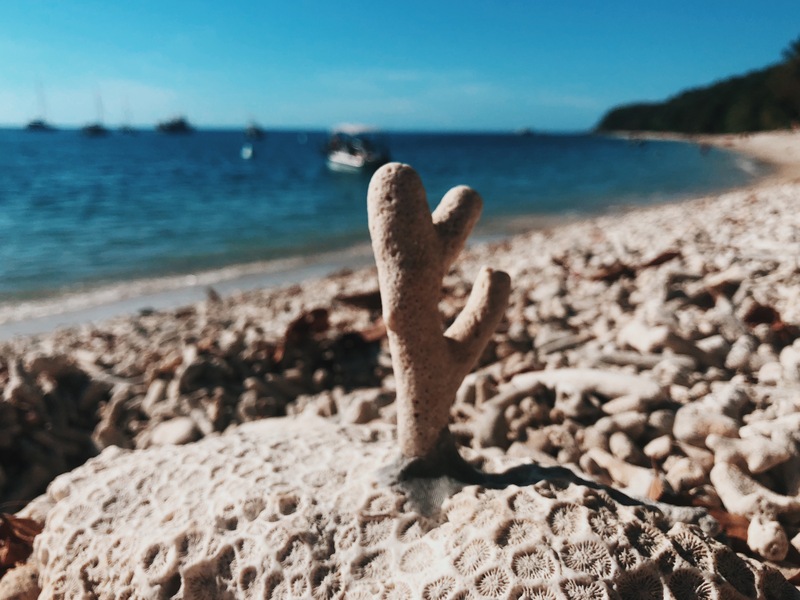 The first round of out-planting has begun with 100 corals going to their ‘new’ homes, they will be closely monitored closely with the help of Reef Ecologic, to ensure their survival. 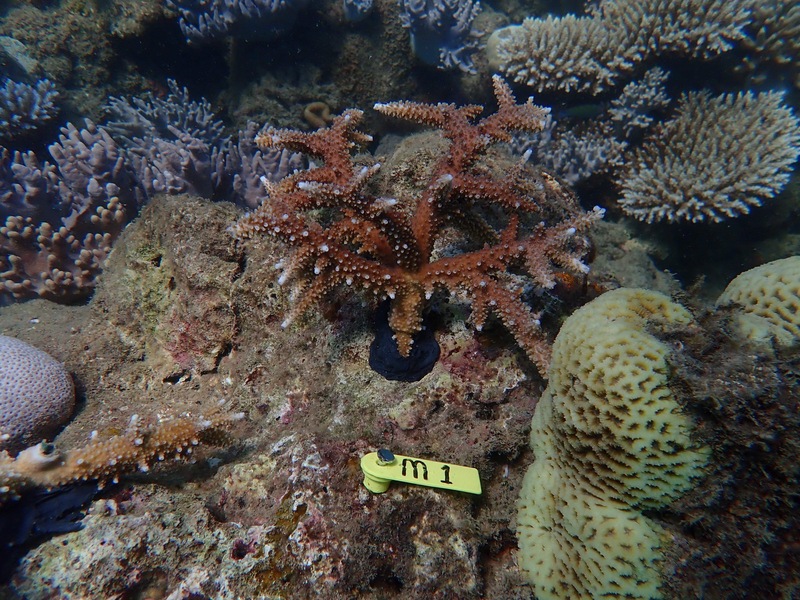 Example of how the corals are attached to the substrate. Coral attached to the reef. Coral being attached to the reef.